Davidson Chalmers is the market leader in Scotland within the GP/Medical Partnerships sector and has unrivalled expertise in working with GP practices. The team has worked with over 150 medical partnerships extending all over Scotland. The team advise medical partnerships on a wide range of issues including funding, property, employment, disputes, regulatory matters and NHS contracting. The team has built a particularly strong reputation for advising on medical partnership issues. Davidson Chalmers is the only Scottish firm recognised as experts in the highly specialised field of Medical Partnerships by the Chambers Guide to the UK Legal Profession. Andy Drane heads the Davidson Chalmers Health Team and has extensive expertise in the delivery of a number of GP/medical practice projects. 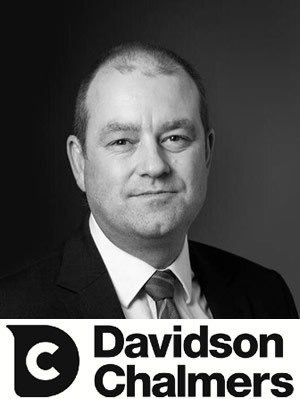 Andy has been a partner with Davidson Chalmers for 14 years and has been with the firm since 1994. He has a Masters of Law degree, specialising in construction law and regularly presents at conferences on a very broad range of issues. Andy is one of only two Scottish members of NASSAD.